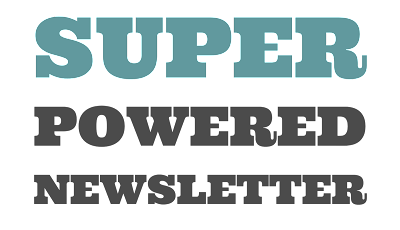 Super Powered Fiction: Kickstart the Week 71: the Thrilling Adventures of Zorro and zombies! Kickstart the Week 71: the Thrilling Adventures of Zorro and zombies! It's been a couple months since the last Kickstart the Week feature on this blog. It's been a long-standing mainstay that I like to focus attention on great new works over at that site. So I'm bringing it back as a part of a rotating set of features on Monday designed to bring attention to super powered fiction of all varieties. With this change, we're also be focusing on multiple Kickstarters, all of which I think are worth a look. Robert Greenberger is a name recognizable to long-time comics fans for his work as an editor for many years at DC Comics. He parlayed that success into a run as a Star Trek prose author and has since teamed with several alums of both comics and Trek to form Crazy 8 Press. Now he's producing a new anthology from that press that should make fans of superheroes and pulp adventure excited! It's called Thrilling Adventure Yarns. The project looks to tell stories in the tradition of the pulps, although it seems to have its major focus on the heroic side of things. It features several names that should be familiar to comic and pulp fans like Paul Kupperberg, Michael Jan Friedman, Robert T. Jeschonek and Jim Beard. It apparently even will feature an unearthed tale from the legendary Shadow creator Lester Dent never published before this book. That's an impressive line-up and is only about half the contents! Give it a look and get ready for some great adventure yarns in the future. 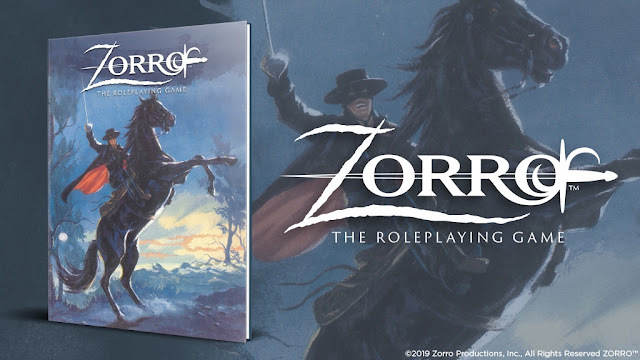 Speaking of pulp heroes with a superhero flair, the folks at Gallant Knight have set out to finally create the first full-fledged role playing game based around the hundred year old hero Zorro! 2019 is the character's anniversary, so it's great to see old Los Angeles being brought to life in all its glory using the classic West End D6 system well known to a lot of gamers. The company has been sharing bits and pieces of the rules online for the last few weeks, so be sure to check out the Kickstarter for more details! William Tucci most famously created Shi, one of my favorite all time characters. Now he's making a big comic comeback. First, he has a new series with Axe Cop creator Ethan Nicolle called Appalachian Apocalypse. Now he's mounting the finished version of a story he started a decade ago, about a samurai fighting the undead: Zombie-Sama! I'm all for Tucci branching out to producer more great work. I'm equally excited to see the talented John Broglia continue to produce stupendous art for the series. But I'm probably most excited that the project offers an ashcan of the upcoming return of Shi, a character I've waited for decades to see more stories about. Head over to the Kickstarter and check out all the fun of Zombie-Sama and throw some support to a talented creative team!